Due to increasing complexities in the real world, the importance of risk analysis has increased in recent years. 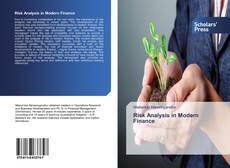 The development of risk analysis has also benefitted from developments in modern finance. The basic financial decision-making process focuses on the relationship between return and risk associated with any investment. 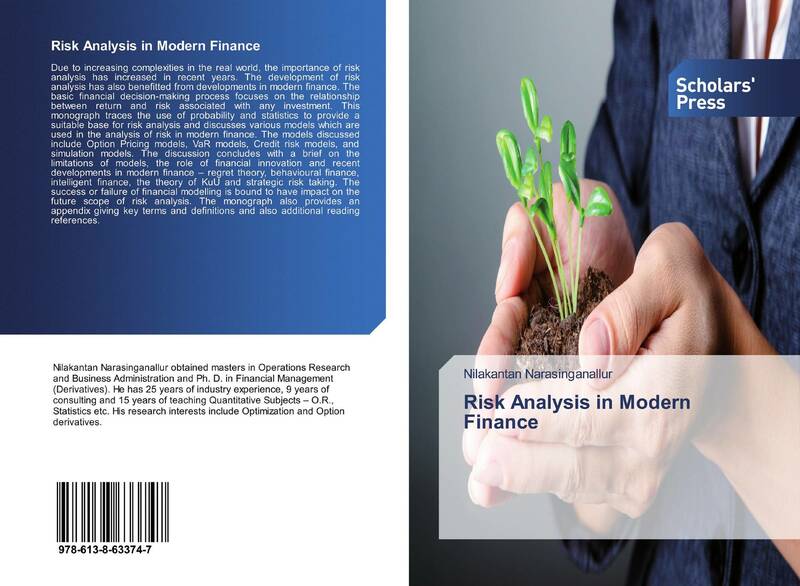 This monograph traces the use of probability and statistics to provide a suitable base for risk analysis and discusses various models which are used in the analysis of risk in modern finance. The models discussed include Option Pricing models, VaR models, Credit risk models, and simulation models. The discussion concludes with a brief on the limitations of models, the role of financial innovation and recent developments in modern finance – regret theory, behavioural finance, intelligent finance, the theory of KuU and strategic risk taking. The success or failure of financial modelling is bound to have impact on the future scope of risk analysis. The monograph also provides an appendix giving key terms and definitions and also additional reading references.